Feb 24th & Feb 25th SOLD OUT! 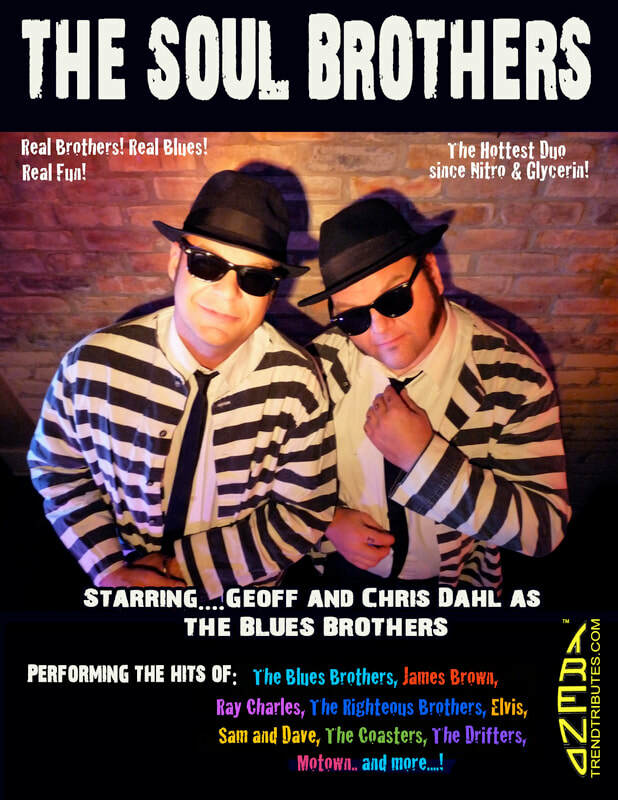 Canadian brothers, Chris & Geoff Dahl, are coming back to Bucerias to bring the insanity of The Blues Brothers back to the stage with their exciting tribute to those lovable Chicago delinquents, Jake and Elwood Blues. Audiences find it hard to take their eyes off these "men in black" as they dance and jump around, belting out the best rockin' blues you've ever heard, on their "mission from God". You will clap, sing and laugh till you cry at this action packed show! Chris and Geoff have spent the last 10 years touring throughout Canada, the U.S., Europe and the Middle East spreading "the Gospel according to Jake and Elwood". Sometimes with audiences that barley speak English, but from Brampton to Berlin, Detroit to Dubai, everyone knows the Blues Brothers and everyone loves these great Canadian "Soul Men"! !